I will always be confused by how Rose has ran this band I'm afraid. Well, I would certainly not say I agree with all strategic decisions of the band, or that they all make much sense to me, but that Axl would want Slash to come back and add guitar leads to new songs after he had quit the band, makes complete sense to me. I'm still confused by the term "shadow line-up". Could you explain that to me? It refers to a group of musicians who work on material for a while that is eventually handed over to the main line up to develop further. They are working on material that might eventually become Guns N' Roses songs but they are not members of Guns N' Roses. It is believed that Axl had a group of such musicians doing exactly this in the background while the remains of the use your illusion lineup worked on their own material in the mid 90s. Wow, that's the same turntable may of us got bundled with our Locked & Loaded Sets. We got an even better deal now considering the pricing of the turntable on it's own! I don't care who is more important. None of the Appetite members can be guests for Guns N' Roses. 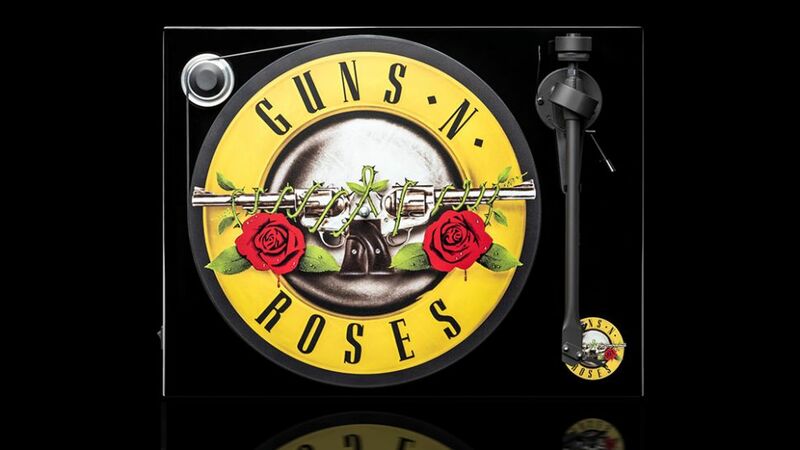 Having Slash (or Izzy) guest on a Guns album is like somebody guesting at their own party. It is their thing to begin with!! Izzy and Duff were both referred to as "special guests" when they appeared with GNR. So even if it feels weird, if Slash isn't in GNR and isn't rejoining GNR but will contribute to an album, he could be considered a "guest". Actually it's not bad promotion for him to be singled out like that. You got the actual turntable with that set? I thought it was just a mat. It's not wireless is it? Glad to help you feel better about your purchase. Well they werent part of the lineup at the time were they. Lol, no, it wasn't just a turntable mat it was the entire turntable. It's basically a Pro-Ject Essential III with the GNR branding on it. They also included the acrylic platter, which is usually a $120 upgrade. I don't think it's going to be anything GNR-related. The guy's constantly uploading studio pics. The guy does session work outside of Guns. Anyone know what he is recording? This does not look like a low budget side project at all. That's a Steinway grand piano. Could it be..? I was thinking more likely terminator 6 which will be released november 2019. Theres history in arnie films. November also holds alot of history for gnr releases. Im 🤞 for that to be true. it's possible but there are no signs. It will be a smart decision imo. like a you could be mine track. wish Izzy was a part of it. Yeah, the next Avengers movie comes out way too soon. It's not gonna happen. As for the next Terminator movie, there is actually a tiny chance it could happen, but personally I'm not expecting new music this year.